Whether it’s to buy a house or a car, to get insured or even to secure a new job, demonstrating creditworthiness is vital for our personal lives. The same is equally true for businesses that are looking for business finance as they try to extend their credit to upgrade equipment, take on new staff or simply keep their cash flow healthy. To be creditworthy, both individuals and businesses need to demonstrate a proven ability to repay any money lent to them, and this will be reflected in their personal or business credit score. 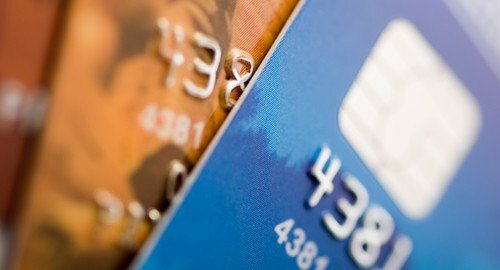 Your credit score will affect both your access to credit and the rate you pay on it. So how do you establish credit for your company without too much complication? To be considered creditworthy as a business owner, you will need to have good business credit reports and good business credit scores. The three biggest business credit agencies are Dun & Bradstreet, Corporate Experian, and Equifax Small Business and, together, these companies have databases with the details of millions of companies stored on them. The information maintained and updated by these agencies includes company profile and corporate registrations, financials, credit history and any records in the public domain. The agencies then compile all this data into a business credit report. Each agency calculates the credit risk of a business by using a unique scoring system. Equifax Small Business, for example, assess companies using a business failure score model as well as a credit risk score, while Dun & Bradstreet use a model called PAYDEX® Score. Lenders tend to favour reports from Equifax Small Business and Corporate Experian while suppliers often rely on Dun & Bradstreet’s database to assess a company’s creditworthiness. To the uninitiated, establishing creditworthiness for their small business can feel like running a marathon blindfolded – how exactly do you get from the start to the finish line? For example, how should you set up your company to give it a strong foundation for business credit and what steps are needed to meet lender compliance guidelines? You’ll also need to know where to apply for credit and with whom, as well as how to get approved. In addition, you’ll need to get your business listed with the big three business credit agencies. Many business owners look online to find answers, but there’s an awful lot of erroneous and outdated information floating around on the web. Trusting an unverified online source could mean your business gets repeatedly refused credit. Your company might be wrongly listed, have incorrect data on its files or simply records that are unverified. There is any number of reasons for rejection. Instead of relying on secondhand information online, you’ll save a lot of time and potential heartbreak by seeking out a commercial business credit building system. These systems are software-based platforms that walk you through the process of establishing business credit. This includes information about incorporation and registration, corporate conformity and how to get listed with the main business credit agencies. Some systems also allow you to check your own business credit report regularly. This will enable you to spot any errors that may impact negatively on a credit application, enabling you to maintain a strong business credit rating. A positive or negative credit report will affect every aspect of your business. Creditors, suppliers, lenders and insurance companies, as well as every other company you seek to trade with, will assess whether to do business with you based on your credit report. A good business credit score will provide the leverage you need to grow your company so it’s worth doing everything you can to ensure you have the best score possible.